next post: Shorter hours or layoffs? Can a city or state become a sovereign nation? We know what a sovereign nation is – one that has the capacity to issue its own currency and oblige its residents to pay their taxes in that currency. We also know that a state or city is thus not a sovereign nation because it uses the currency of the sovereign nation it “lives within”. So a state or a city is financially constrained in much the same way as a household. In that context, spending has to be financed either from higher taxes or debt issues which clearly places some limits on what programs a city or state can pursue. Further, a city can go bankrupt (become insolvent) in the local currency whereas a sovereign government cannot. So how might cities solve their infrastructure and social needs when they are so constrained? The issue that sparked my interest in this question this morning was a ABC news report about some very hungry koalas in Osaka, Japan. You can also see an ABC Video Report on this topic. Here is another interesting report. Seems like Osaka’s zoo has six koalas (no I am not specialising in koala stories on my blog!) which eat about $A1.4 million worth of eucalyptus leaves annually. The leaves are their staple and they are very fussy about them. The zoo considers the Australians to be their “biggest crowd pullers” and thinks the huge cost of keeping them fed and happy is worth it. Juxtapose this fluffy image with the fact that Osaka also has the most homeless people in Japan. Homelessness has become a huge issue in Japan after its economy melted down in the 1991 global downturn. The situation is getting worse and will be exacerbated by the current recession that is hitting the Japanese economy. In many parks and neighbourhoods, you see makeshift houses that provide some shelter to those who have fallen by the wayside in the relentless Japanese system. In the Nishinari neighbourhood of Osaka, you see ramshackle cardboard and wood constructions all along the streets and they serve as spartan shelter for those who have no other place to live. Here are some Photos and narratives of the Osaka homeless. The narratives are quite interesting. Osaka’s economy contributes around 7.7 per cent of Japan’s total GDP, second in shares to Tokyo (16.5 per cent). It is largely a trading city and the futures exchange for rice was established there. Many of the large multi-national Japanese firms began production in the city (for example, Panasonic, Sharp). In recent years, the city economy has been declining and the unemployment rate is now the second highest in Japan. Part of the problem is that the largest firms in the city are outsourcing jobs to China. But the overall problem is that the Japanese economy has not been producing enough jobs to satisfy the desires of the available labour supply. The savings ratio has been high in Japan (for example, due to the fact they have no superannuation structures in place) and while the budget deficits have been large to stabilise demand and get the economy growing after the “lost decade” (the 1990s recession and its aftermath), the net public spending has not been sufficient to wipe out the unemployment. Now the economy is struggling again with recession and net government spending will have to rise significantly before they will see the right side of growth. Another interesting fact is that according to Osaka Investment Promotion Center the “Kansai region is comparable to Australia or Holland with a population of 21 million and a GRP of US$712 billion (FY2005).” Osaka is the dominant city in this region. Australia is a sovereign nation – our federal government enjoys a currency monopoly and as such does not have a budget constraint. If the zoo was in Australia the national government could (if it thought it a reasonable policy) easily buy enough gum leaves to keep the koalas happy but at the same time build appropriate public housing to ensure there was no homelessness and provide public service jobs to all the unemployed so they could pay for their new houses. All courtesy of the national government! The Australian government can purchase anything that is offered to it for sale without having to finance that spending. That is the privilege of a sovereign government. So, if Osaka is the dominant city within the Kansai region, which, in turn, is as big as Australia – then why shouldn’t Osaka just declare itself sovereign – issue its own currency and require taxes to be paid in that currency – and then they could feed the koalas, build the houses and provide jobs to all those who needed them? Good question I thought. The obvious answer is that Japan is the sovereign government. It might not like one of its cities seceeding. Of-course, the national Japanese government could easily take control of the situation and build housing and introduce employment guarantees and in a short-time eliminate the problem. They obviously could easily take over the nutritional responsibilities for the koalas too. But Osaka as a city cannot operate in the same way. It has a financial constraint and would have to issue debt or raise taxes to increase its spending. But sovereignty just means you can demand taxes in the currency you create. So why couldn’t Osaka become sovereign (apart from the political problems)? Consider these examples. In California, the City of LA issues new rental-subsidy vouchers for needy families under its “Los Angeles’ housing-voucher program”. These vouchers are able to be presented to land-lords to defray some of the costs of rental accommodation. Further, on February 2, 2009, the State of California (the eighth largest economy in the World) began to issue IOU vouchers instead of paying cheques as its legislature was engaged in a stand-off over its budget. The economic crisis has damaged its revenue base which, in turn, has increased the State’s budget deficit. Now imagine what would happen if the State of California, announced that it would accept these IOU vouchers (their face value in $US) as legitimate vehicles to liquidate one’s tax obligations to the State? To circulate the vouchers, all State employees would receive some (or all) of their pay in the IOUs (bits of paper or via electronic transfer into special voucher banks), which they could then use to pay their taxes. If all Californian citizens could similarly extinguish their tax obligations using these vouchers then there would be a generalised demand for them, which means that State employees would be able to spend the IOUs in shops as they would the $US. The State of California would have no financial constraint in the IOU vouchers. It would simply spend them (pay its workers) and collect the taxes later as people handed them back to satisfy their legal obligations. Imposing the tax obligation (in vouchers) creates a demand for them and allows them to circulate as a “currency”. Soon enough, the banking system would develop IOU Voucher Accounts and related products. In this way, the State of California could easily keep its zoos operating and help the homeless. It could also expand public employment to attenuate the labour market impacts of the recession. There might be some reluctance to hold the vouchers. Note: I am not recommending the State of California run a “two currency” model. The point is a conceptual one to highlight what constitutes a “currency”. But in general terms whether Californians would desire to demand the IOUs would depend on how enforceable the tax obligations are. The State of California could probably enforce the tax obligations and allow them to be extinguished using vouchers. This would be sufficient to generate a viable demand for the IOUs as an operating currency. I am not considering any constitutional issues here. Just the logical point. So Osaka could start issuing Koala Notes and tell its residents that it will accept these notes as taxes. Soon enough, the residents of Osaka would be spending and saving these fluffy notes and they could then be used to construct homes and employ the homeless. Of-course, notwithstanding all this, you should know that I am totally against zoos! 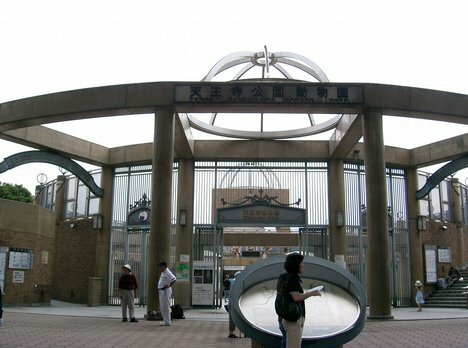 Here is the hideous pen they have our fluffy wonders locked up in at the Osaka Zoo. But this was not a blog about the cruelty of zoos! The essential point is that the path to a sovereign currency requires the power to impose a tax in that currency, notwithstanding political constraints that might have to be solved by force or diplomacy! Please re-read my blog on the Business Card Economy to see how localised a modern monetary system could operate. have you ever read any of Jane Jacob’s work? She was highly distrustful of most large political entities and thought that currencies should be issued at the level of metropolitan regions with floating exchange rates. She felt that locking all metros into one currency would tend to exacerbate inequalities between regions, since prices in say, Memphis are tied to prices in New York. I read her most famous book The Death and Life of Great American Cities, which was a bible of sorts for urban planners and regional researchers interested in communities and the way urban renewal was being practised in the 1950s and 1960s. But the point you make is good. However, there is another huge literature (mostly flawed) about the “optimal currency zone” size, which would suggest small zones are inefficient. The most important thing is for the “sovereign” government to have a credible power to tax which creates the demand for its currency aligned with sensible spending responsibilities. So it makes no sense for Osaka to have all those people (mostly men) homeless and unemployed doing nothing but surviving.